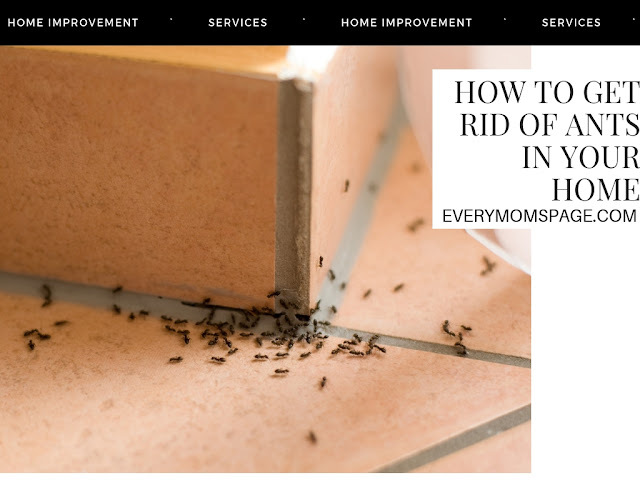 Ants are a huge problem in your home, swarming small crumbs and making it seemingly impossible to leave food out for even an instant. Luckily, there are several things you can do to get rid of ants—and keep them gone. It’s easy to brush off seeing a few ants around the house, but the ants you’re seeing are scouts. Their job is to explore and leave scent trails for other ants to follow later—in force. So how to get rid of ants Fort Myers FL if they’re leading the entire colony inside? A smart first step is to call exterminators as soon as you notice a potential problem. They’ll identify the type of ant, set out the right baits and seal off possible entry points into the house or locate indoor nests. Some companies offer preventative service agreements, where they spray multiple times a year to keep pests and come to exterminate if you detect any emerging issues. A busy lifestyle can make it hard to keep the kitchen perfectly clean, but try not to leave dirty dishes out or let crumbs or spills sit on the counter. If you have pets, spray a mixture of vinegar and water around their food bowls to deter the ants. The goal is to ensure that the only food source they have is the poison. Although it’s tempting to squish every ant you see, once you or an exterminator have laid the bait out it’s smarter to just let them go. If you simply kill the ants in your house at any given moment, the colony will continue to send out ants and you’ll keep having a problem. Letting the ants go, however, means they’re bringing the poison back to the colony; this will wipe them all out. Detecting problems early and responding right away are keys to avoiding the headache of a major infestation and preventing ants from tracking bacteria all over your food and counters. Better yet, a clean, pest-free home will give you peace of mind.